John Palmieris, a sixteen-year-old Brooklyn boy, wakes up as a prince in India thirty-five years before he was born. 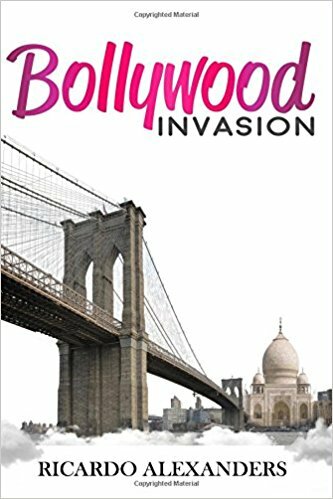 Considering that Bollywood Invasion is 322 pages long and I finished reading it in two days, I would consider this novel to be a poignant romance, page-turner. I agreed to review the book mainly because of the word Bollywood in the title, as I’m a fan of Bollywood movies, which I consider to be superior to American movies. And, while I was reading, I could imagine a young Shah Rukh Khan playing the part of Raj, the protagonist, John’s Indian alter ego. Even though the story flows in a typical fictional manner, there are subtle messages and questions that arise as one reads. And, if one understands something of Hinduism and the concept of Maya, then the question might come to mind as to which experience is the illusion—I had a dream I was a butterfly, or am I a butterfly dreaming that I’m a person? This light parody on the rise and fall of the Beatles, is about an Indian band called the Beetos, composed of four young men from India, who go to England to become super stars, using the names John, Paul, George, and Ringo. The story also provides a different twist or perspective on some actual historical events, is well-written, and well-edited. Ricardo Alexanders is a mature, gifted writer with a purpose, possibly inspired by the Beatles. His characters are well-developed, as he brings their struggles and pain to life; he gives you a light taste of India through its language, which he translates via footnotes, and through its family dynamics and culture. In addition to Bollywood Invasion, Ricardo Alexanders has also written The Last Resistance: Dragon Tomb, and the lyrics for a song titled Every Day is a Monument, which you can see and hear on his Amazon Author Page—just click on his name. If you like sci-fi/time-travel, like the Beatles, like Bollywood films, or are interested in learning more about India’s culture, I’m sure you’ll enjoy this novel and discovering the talented, gifted writer: Ricardo Alexanders.